Ridgid commercial vacuum cleaners stand up to the tough jobs like a kid to the bully in the school yard. The dirt thinks it's the boss, but you and your Ridgid vacuum show it who really runs the town (ahem, or home). To keep your vacuum in dust fighting shape, you need to change out the filter. 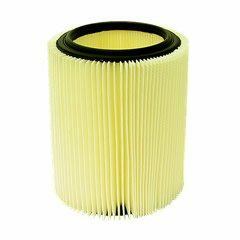 Dirty old filters bog down your vacuum making it difficult to maintain maximum performance. Don't let dust bully you around any longer; it's your home and you deserve to see it clean. Whether it's for your Ridgid Shop Vac filter or other Ridgid Shop Vac parts, call eVacuumStore.com today to learn more about your Ridgid vacuum cleaner.